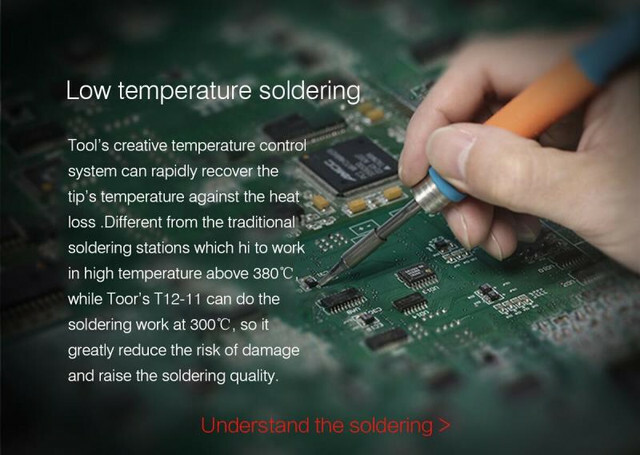 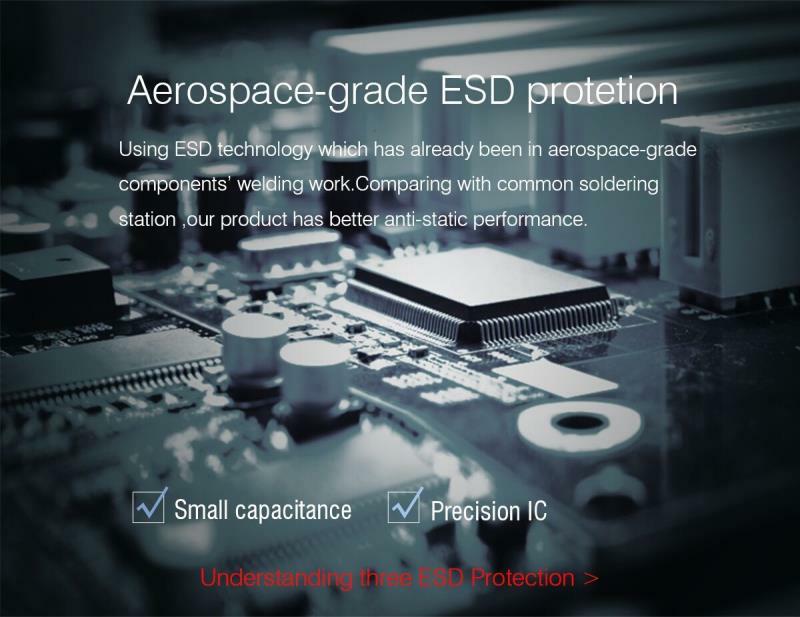 LEISTO T12-11 Lead Free Soldering Iron is much better ESD safe performance than normal soldering station. 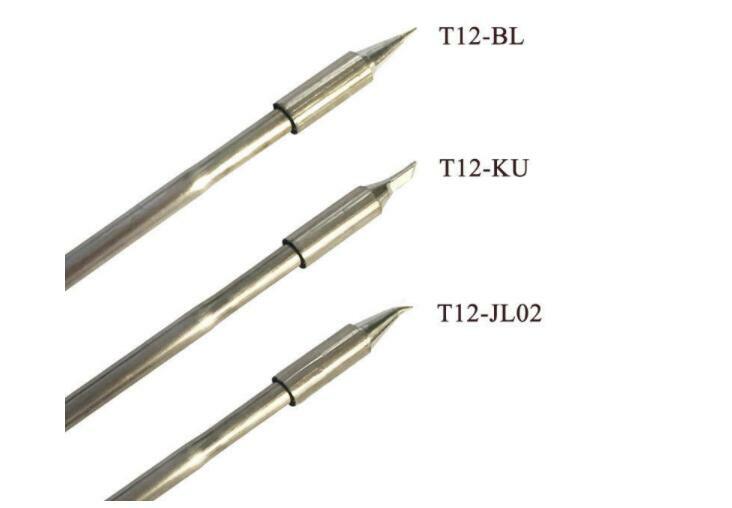 LEISTO T12-11 for mobile PCB Repair. 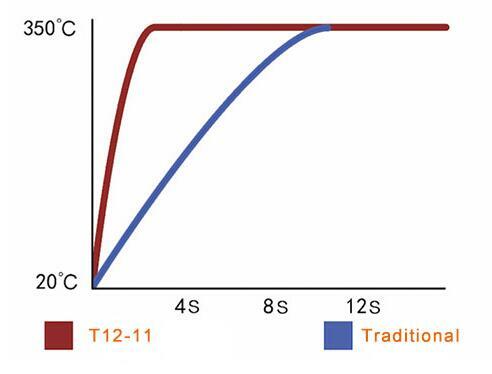 3: Independent intelligent temperature control system and heating system, heat transfer efficiency increased by 30%. 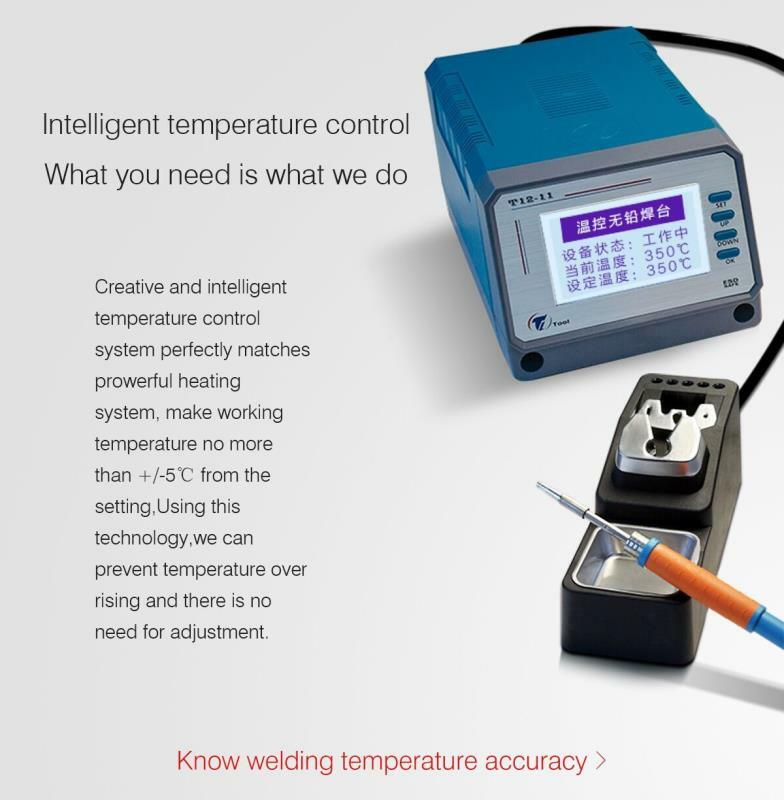 Continuous welding of five solder joints, the maximum loss of temperature less than 25℃. 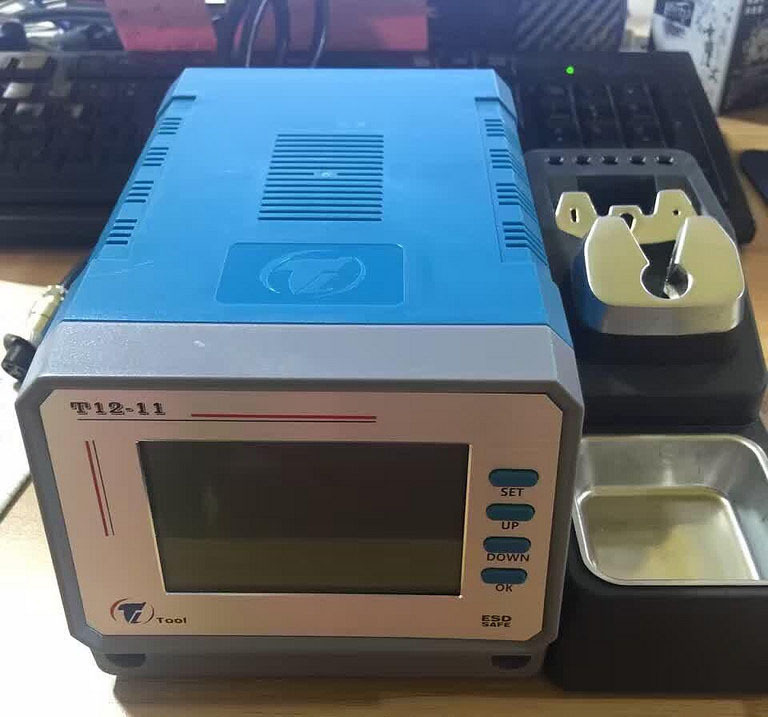 When iron handpiece departs from the stand, the buzzer starts to alarm and LCD display should be always on, and the cartridge should be in working temperature. 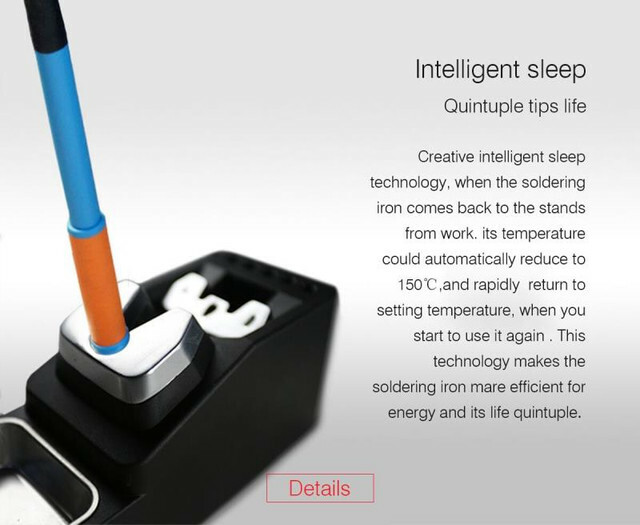 When iron handpiece comes back to its satand, LCD display turns to dark after 3 seconds, and the cartridge should reduce to the sleeping setting temperature.